In Canada, just 0.56 per cent of vehicles sold in 2016 were electric. MONTREAL -- Ottawa has appointed an advisory group to develop a plan for getting more zero-emission vehicles on the road, but it won't follow Quebec in requiring automakers to sell a minimum number of electric cars, Transport Minister Marc Garneau said Friday. "We just decided that instead of giving ourselves a specific number what we would do is try to make the conditions more favourable for people to buy zero-emissions vehicles," he said in an interview at an electric vehicle show. The job of the new 22-member panel, which includes industry and other stakeholders, is to come up with options by next year for addressing the barriers to zero-emission vehicles (ZEV), including vehicle supply, cost, infrastructure readiness and public awareness. 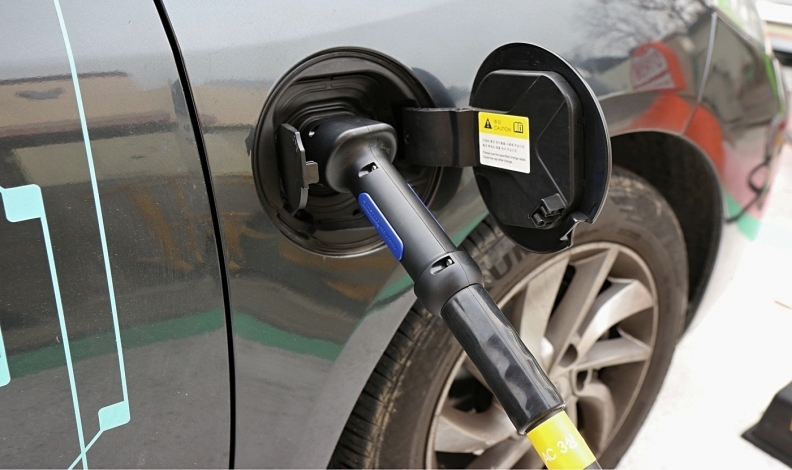 Quebec has the country's only legislation requiring automakers to sell a minimum number of electric, plug-in hybrid and hydrogen fuel-cell vehicles. Starting with the 2018 model year, 3.5 per cent of all auto sales in the province will have to be from those types of vehicles. The threshold rises to 15.5 per cent for 2025. Companies that don't meet the targets will have to buy credits from other automakers that do. Automakers say it will be very challenging to meet the threshold because electric vehicles make up only a sliver of the market. In Canada, just 0.56 per cent of vehicles sold last year were electric. Quebec's rate is about one per cent. David Adams, president of the Global Automakers of Canada and a member of the new federal advisory group, said the government's unwillingness to set a national threshold on electric vehicles makes sense. "Whether it's Quebec or the federal government we don't disagree with the objective of moving towards the decarbonization of transportation, we just maybe are at odds sometimes in terms of how quickly we can get there and what means," he said, adding there are less costly ways to reduce transportation emissions than favouring one technology. Pollution Probe CEO Ingrid Thompson said the appointment of the panel on which her group is a member is an important step. "This is a very good day for clean air in Canada and climate," she said from Toronto. Garneau also wouldn't say if Ottawa is prepared to offer a federal purchase rebate on top of the thousands of dollars that are available in some provinces. "These are questions that we are going to look at in the course of the next year as this advisory council comes back to us and tells us what are the winning conditions to increase sale of zero-emissions vehicles," he said. Quebec Natural Resources Minister Pierre Arcand applauded Ottawa's commitment to work with provinces to develop a realistic approach to increase ZEV sales, but said a national rebate should be introduced. "Of course it would certainly help," he said, adding that the challenge is also to entice purchases of more electric trucks, which pollute 11 times less than those powered by diesel. Thompson said any discussion of federal rebates is premature before letting the advisory group do its work. The federal government estimates that cars and light trucks accounted for 12 per cent of the country's total emissions in 2015.